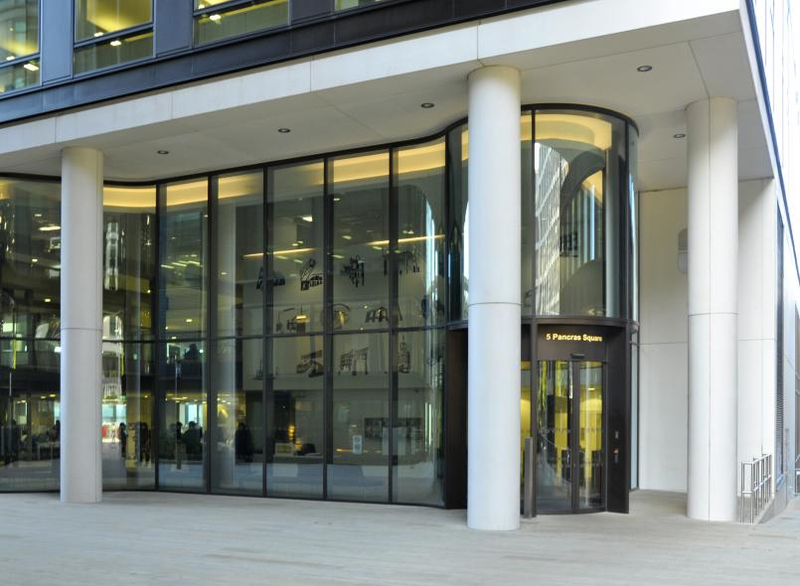 Camden Council’s new 14 storey building, 5 St Pancras Square is host to council offices, a leisure centre, café and a library. This innovative building is classed as one of the leading green buildings in the UK; having achieved an ‘outstanding’ BREEAM sustainability rating. Every part of the design required careful consideration to achieve this rating. So, when selecting the door entrances for the award-winning building, Boon Edam, the global market leader in entry solutions was consulted. 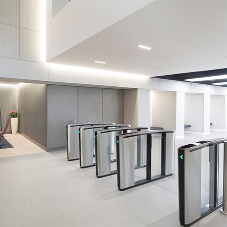 The entry solution needed to fit the building’s sustainability, security, service and design criteria to seamlessly integrate with the existing design. With 140 years’ experience and a portfolio of products to accommodate a range of entry requirements, Boon Edam’s experts were able to provide the ideal solution using the Circleslide product range. Not only did the product successfully integrate with the building’s design; but it was also able to mitigate any concerns regarding energy loss. 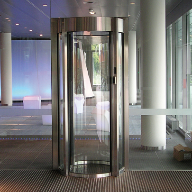 The Circleslide, consists of two sets of curved automatic sliding doors. 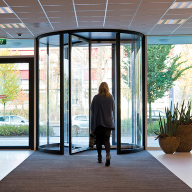 This selection ensured that the elegant rounded look of a revolving door was achieved, along with meeting the high capacity throughput demands; realised by a wider throat opening design. This design of door is also DDA compliant in order to provide disabled access without the need for a separate pass door to be installed; this was a key criteria for the council building. 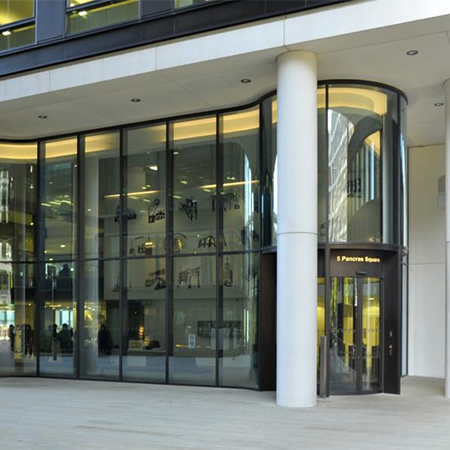 The technology incorporated into the product’s mechanism ensures extremely quiet and smooth movement of the doors, whilst the air curtains installed inside the building lobby are designed to effectively reduce the air exchange and infiltration at entrances. This ensures that the entrance lobby can regulate the internal temperature as part of the building energy efficiency.